You have to keep logging on to the website and check under excursions to see when they start popping up. Its staggered and Carnival still has to know how may platinum's and diamonds and suite holders are booked for the cruise. If you catch it right and want it. Do not hesitate. Just buy it or you might not get another chance. I got lucky last time I cruised and got one "mid-season" after they reopened. Unfortunately, it spoiled me so now I have been checking every day. Unfortunately, there are no excursions posted yet. I have a carnival cruised booked for October 2017 and FTTF is already listed as sold out...what's up with that?!?! I believe they start out offering 15, then adjust as they near the sail date. They generally sell out within hours (minute?) of posting. They usually open it up for about 15 cabins 6-8 months prior to sailing and then they might open more after the have figured out how many Platinum/Diamond card holders are sailing. Right now it probably says sold out because they haven't really made any available. Anyway, that is how it has been in the past. So would I be out of luck for a November cruise? Not necessarily. Now is the time to check frequently. Sometimes they will open as folks that have purchased it move up to a suite and they cancel it. So keep checking. Keep logging in and looking for it to come available and as Pink stated, it's based on the number of Diamind and Platinum (so Carnival claims) and then they'll open a few more. I have no problem with cruisers that purchase the excursion and I have friends that use it. Good for them. My problem is that Carnival took perks from the cruisers that purchase suites and really, the FTTF excursion is all profit and no overhead. What is it if they open 20 or 25 per cruise? We have had over 100+ FTTF cruisers at work. I know because when I help with seating, we need to make sure there is enough seats for what we have per the sailing. Keep checking. They can show up any time, especially after the final payment date. 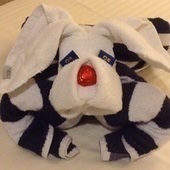 On our last cruise they were available about two weeks before sailing.